When my sister and I were kids (her in primary school and I as a toddler), our parents would often take us to the nearby nature preserve. There are VHS tapes of us peering into the dark water of the ponds, my mother slyly holding the bottom of my t-shirt as I inched forward. My sister and I especially enjoyed tossing food pellets to the various wildlife of those ponds – snapping turtles, Trout, ducks, and the occasional hissing Canada Geese. The experience never got old and the squeals of delight continued for years. Walking past the ponds and over a wooden bridge, we would find ourselves on a path towards the Visitor’s Center. In all my years of visiting, I find comfort in the fact that the Center itself remains mostly unchanged. The main level of the building houses my favorite exhibit,“Mammals of New York State”, complete with taxidermied animals of all sizes and an impressive bird collection. Upon entering this particular exhibit, visitors encounter a dull buzzing, which appears to be coming from the corner of the room. As a child, I wanted nothing to do with the buzzing, but as I grew, I found myself drawn towards it, sliding open a wooden panel to reveal a fully active bee hive. The honeybees enter the hive through a series of PVC pipes, which lead safely in and out of the building’s window. Visitors can watch the bees crawling over the honeycombs, so tightly pressed together they barely squeeze by each other. I will never forget the feeling of the dull buzzing in my chest, a tangible reminder of the intense energy generated by their hundreds of wings. Ask anyone who was at the May edition of GTL and they would agree that the room was buzzing. Participants flew from one exhibit to the next, in search of the best edtech to fit their needs. They had the opportunity to “play” with the new tech and take part in demonstrations which featured effective implementation. The demonstrations were led by those who had experienced success while utilizing the tools and truly believed in their worth. 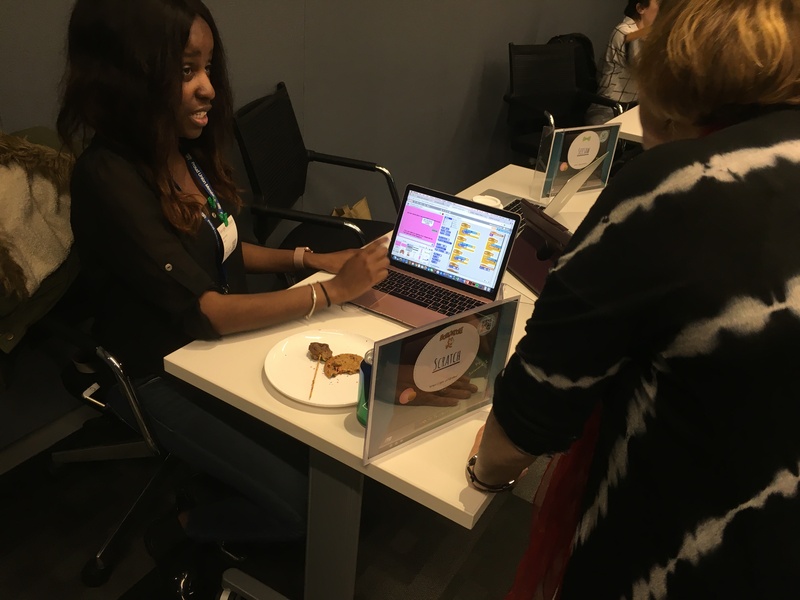 Access to these “experts” reassured even the most hesitant of participants and provided them with the necessary support to try something new. The buzzing grew louder as participants began to narrow their focus to the tools they liked most. They sat down in groups with other teachers to brainstorm ways in which each tool could improve their instruction and their students’ learning. 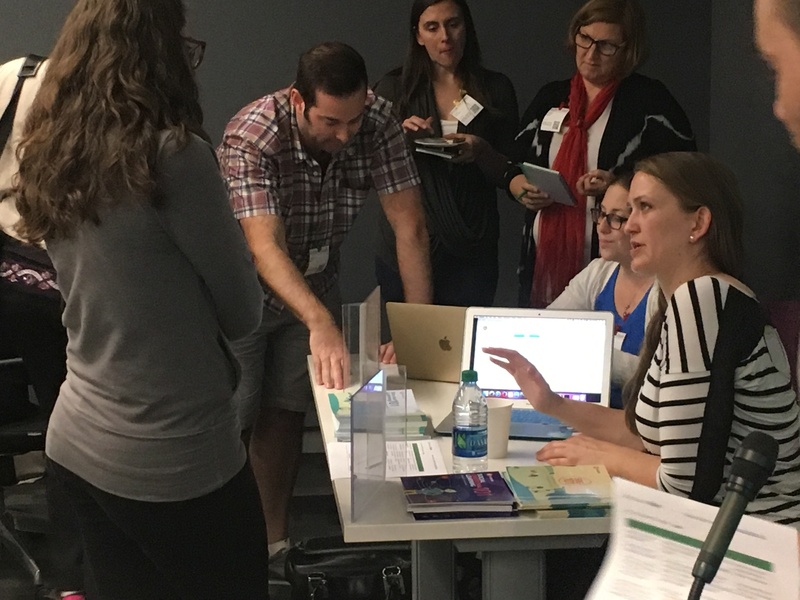 Instructional technology coaches connected people with similar interests in order for them to better explore the logistics of the programs, predict implementation challenges, draft info letters for parent night, etc. Some participants even went so far as to plan a trial run of the program during the remaining months of the school year. The energy in the room was palpable. I walked out of this particular event feeling much like I did when leaving the Visitor’s Center at the nature preserve. I felt invigorated (which says a lot for the third week in May as an educator). Empowered by the passion and knowledge of those around me, I was ready to become a transformative force in education. It got me thinking. How can we harness this “buzz” as educators and create hives of our own? How can we transform our classrooms into hives of creativity and collaboration? Avoid being the “keeper of knowledge”. (Great wisdom once imparted on me by a professor in grad school). Allow the free flow of information. Never hold back on making a resource accessible to your students, whether online or from a book. Instead, teach them to judge their resources accordingly. Boost collaboration. Set up your classroom in a way that encourages students to collaborate. Utilize tables whenever possible (as opposed to single desks), or set up your desks in groups. Talking is ok, as long as it’s productive. Allow time for play. Students will be more invested and energized when given time for play and discovery. When you’re introducing a new tool – a math manipulative, a new book, a new program – allow students a specified amount of time to explore on their own. You’d be surprised how quickly they learn! Work towards a common goal. Although each bee has its own purpose, they are all working towards the goal of collecting nectar to survive. Your students could be working towards the goal of gaining a better understanding of the world around them. Try and connect to this common goal even when you are cramming for those state tests. Not quite feeling the buzz in your classroom yet?